Would you marry the perfect stranger? Pre-Order Something Blue Now for the special pre-order price of only 99c! I had the great pleasure of being included again last night in Jeff’s twitch reading. And although I missed it, and am sad about that, it was a great reading to go back and watch. click across to – 35:05 – “Tales from the Secret King: The Summit” by Dawn Chapman and Steven Kogan. I am sure I was pointed to this one, probably by Steve Caldwell. I just can’t remember.. lol anyway, it was an enjoyable book. I can’t quite remember who or what made me pick this up. But I’m glad that I did. From an audio point of view this was an entertaining listen, there were some really cool ideas that melded in with our own world. The natural world that the species live on, we don’t actually know if they’re human or not, we just presume that they are is called Tygon. Their whole civilisation is built around ‘the game’ and they now live their lives entertained, and enjoying the whole process. Each person can follow a specific avatar and then those avatars make more money depending on followers. But of course, we’re not. They are though and their journey really is full of ups and downs. The two MC’s Danielle and True inside the game are interesting and their lives really do just seem to entwine without the ‘luck of spending credits’ and we really connect with them and their lives, from the first time they meet at 8 till much later in life. The interconnecting narrative from the outside world is also really great. The whole complex process of the game is understood some more as the story develops, but there are some good unanswered questions, maybe because it’s a series, that they’re answered in later books. I’m interested to find out the ins and outs of why the game was really considered for development and use, and other than that, what it really does to prepare people for life on the outside? If anyone wishes to sign up, in exchange for some honest reviews this is the best way ever to discover new talent both in authors and narrators. So, the last couple of days I’ve been listening to Roak. I have to admit I was a little nervous coming into this one right from the start. It promised a lot of action and tension! There were some great descriptions of the setting and of Roak. His character was blatant. Pay me or you’ll suffer. But, when he was the one left suffering I was unsure as to what he was physically capable of. 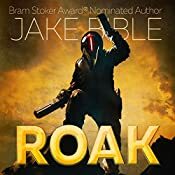 Roak, is one of those characters you love to hate. He lives by simple rules and he does everything he can to keep on, keeping on. It takes a while to realise that he’s not actually a bad man, he’s just set in his ways, and does his job. Along his journey to get ‘paid’ Roak comes across some really cool characters. Some that you’ll feel so sorry for and others you’ll love to get their comeuppance. Andrew, has just the right tone for this novel, deep, gritty and he totally has the right voices to pull off the different aliens along the way too. In his performance there was such humour, and I really enjoyed both the writing and acting. Great job. I think my only quibble was I just wanted more, haha so I went to look for more work by Jake, 🙂 and I do hope that Andrew gets to narrate some more. I was given this book by the author/narrator without obligation for review via audiobook boom. So today he’s released book 5! I can’t wait to get to the latter books in chatting to him I really admire his determination and commitment to his craft. The primary story with Continue Online’s universe follows Grant Legate. The future is filled with self-driving cars, virtual realities, chore completing machines, and super fast internet connections. Yet all these technological innovations cannot prevent tragedy. Three years ago Grant Legate lost that which he loved most. His carefully built life fell apart in the wake of depression. Now Grant spends most days working endless hours as a companion to an AI. Their mission is simple, to repair broken machines that humanity uses to visit virtual realities. Unintended hard work pays off as his boss forces Grant to take a vacation and try the latest game craze Continue Online, a fantasy world with the freedom to play any role one might choose. Upon entry into the game, he meets the AIs who rule over this digital world and they make an offer. They’re nothing like what he expected from a video game world. 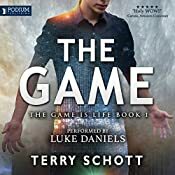 Grant starts his journey into the virtual world from a very different perspective, and he is only one part of an AI agenda that will end up impacting all of humanity. Since stepping through the gateway to Continue, Grant has been many things: a dying hero, a malevolent imp, a robotic space explorer, and felon seeking redemption. Now he’s added a new role to the list—married man to a virtual woman. In his mind, nothing could be more perfect, but his newlywedded bliss is in jeopardy. Trillium pulled the trigger on a digital Armageddon and the games have changed. Virtual people are being hunted down then deleted forever. Players’ characters are removed if they die three times. The AIs have a plan to fight back and protect their citizens by storing as much data as possible into a haven, including Xin’s. To help secure the survival of his friends and wife, Grant will seek the secrets to salvation left behind from the game’s first heroes and programming team. Along the way, Grant reunites with old companions, sets aside past grudges, and pulls out every trick he’s ever been taught to help him in the race against digital death. Failure means Grant will lose Xin a second time, but success may cost him even more.